These rubber bounce balls are a wonderfully inexpensive alternative to silicone for bounce juggling. 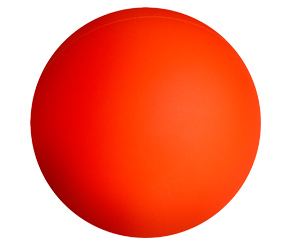 A perfect entry-level bounce ball with a smooth finish and 90% rebound. #0405 2.5 in. Turbo Bounce Ball $17.95 ea. #0406 2.7 in. Turbo Bounce Ball $19.95 ea. #0407 3.0 in. Turbo Bounce Ball $24.95 ea.